Nintendo is closing the Super Smash Bros. ballot they opened to the public today, October 3 2015. Get your votes in ! 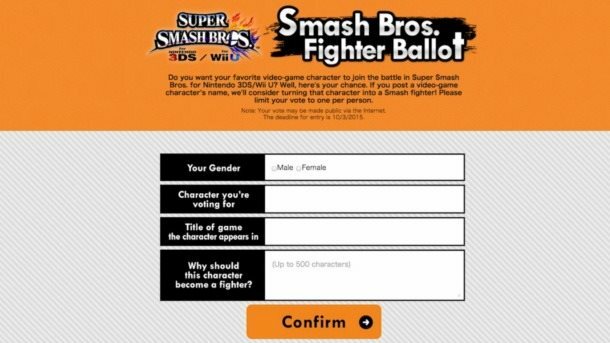 The ballot, originally opened back in April 2015, allowed fans to vote for characters they wished to see in Super Smash Bros. WiiU and 3DS. The simple process had voters submit the character’s name, gender, the title of the game they originally appeared in and a brief explanation as to why said character should be a fighter in the game. Although the site asked fans to limit their vote to one character, there is no system to stop voters from placing multiple submissions. Despite the website saying your vote may be made public, Nintendo has yet to officially reveal their intentions to reveal how outcome of the ballot. Although the final day to submit votes is upon us, Nintendo has given no hint as to whether the votes will actually influence future playable characters. Super Smash Bros. WiiU launched November 2014 while the 3DS version of the same game was released a month prior. 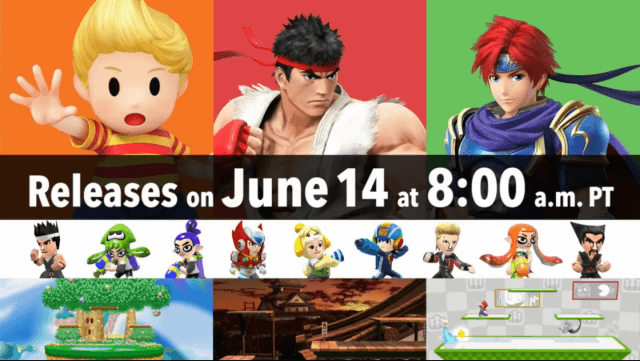 Since it’s release, Smash Bros. has seen a steady flow of content, including 4 playable characters, a handful of new stages and dozens of costumes for the Mii Fighter characters. Nintendo has yet to announce plans for more playable characters.